U.S. astronaut Scott Kelly shows a victory sign after landing safely on Earth after nearly a year in space. Kelly was lifted from the capsule and placed in a seat to allow his body to readjust to the earth&apos;s gravity. Shortly after that, he and his Russian crew mates were taken to a tent and subjected to a range of tests of their vision, balance, strength and dexterity. The tests are in part designed to see how quickly a crew traveling to Mars might be able to begin work after landing on the Red Planet. Kelly will next travel back to Houston, Texas. After a series of additional medical tests, he says he&apos;s headed to his pool for a swim. Here&apos;s a fun fact about long-duration space flight: There&apos;s no shower on board the International Space Station. "It&apos;s kind of like I&apos;ve been in the woods camping for a year," astronaut Scott Kelly said during a news conference late last week. Kelly finally gets to come home and wash off the space funk on Tuesday night. 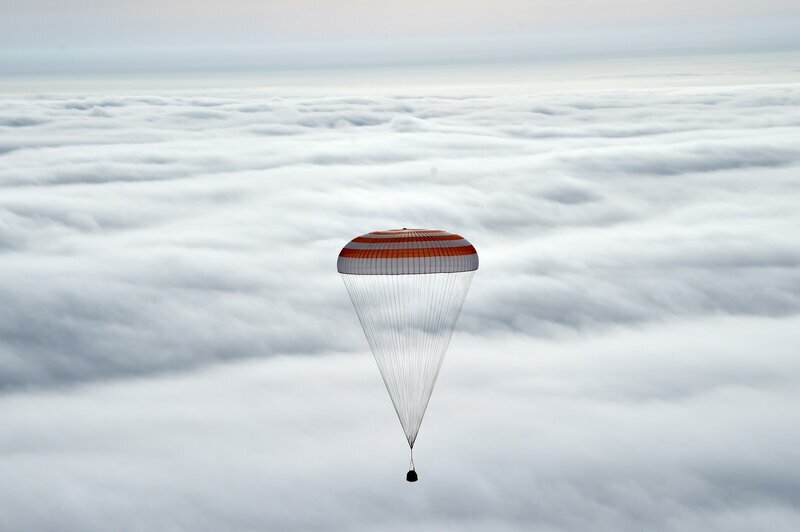 He climbed into a Russian Soyuz spacecraft and closed the hatch around 4:40 p.m. ET. 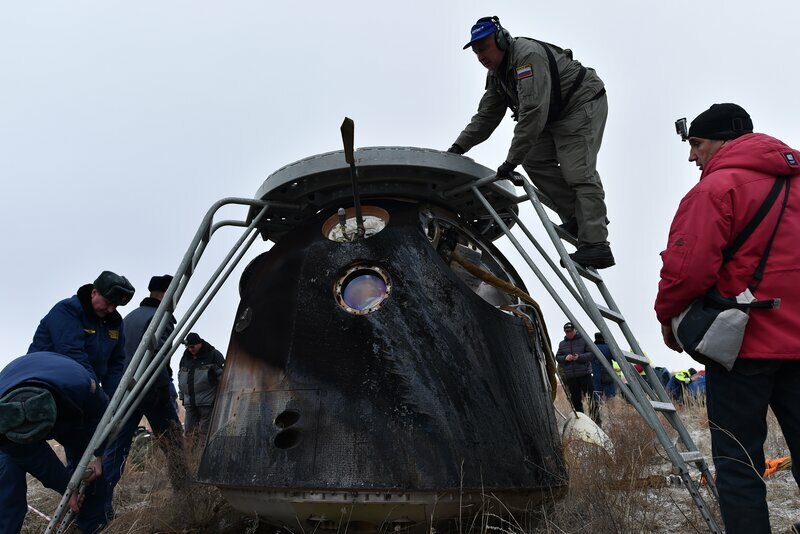 His capsule undocked at 8:02 p.m., and he&apos;ll touch down just before 11:30 p.m. on the chilly steppes of Kazakhstan. While in orbit, Kelly posted hundreds of photos, and we&apos;ve got a selection here. Kelly&apos;s 340 days in orbit shatters the U.S. record for the longest space journey. Only a handful of cosmonauts have logged more consecutive days in space. 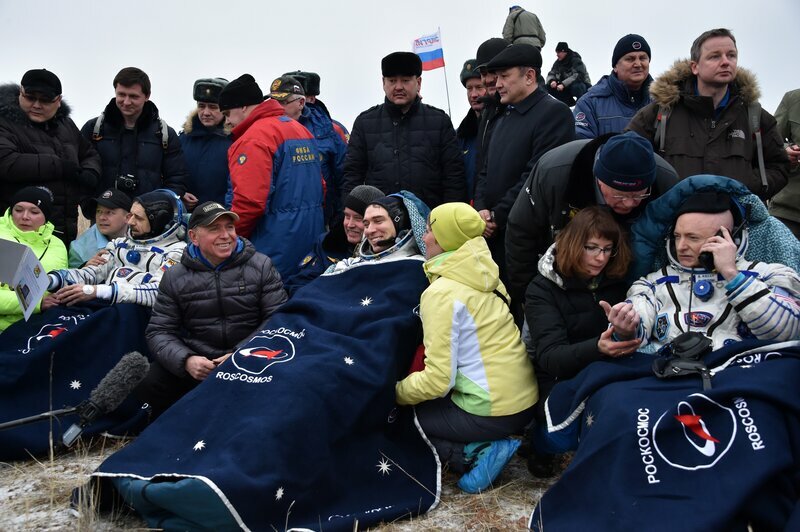 Researchers are using the mission, which Kelly conducted with Russian cosmonaut Mikhail Kornienko, to learn more about how prolonged spaceflight affects the body and mind. The study is unique partly because Kelly has an identical twin: retired astronaut Mark Kelly, who&apos;s stayed back on Earth. Studying the Kelly brothers&apos; DNA may provide some hints about how spaceflight changes human genetics, says John Charles, the chief scientist of NASA&apos;s human research program.